All We Can Say Is---Ouch! 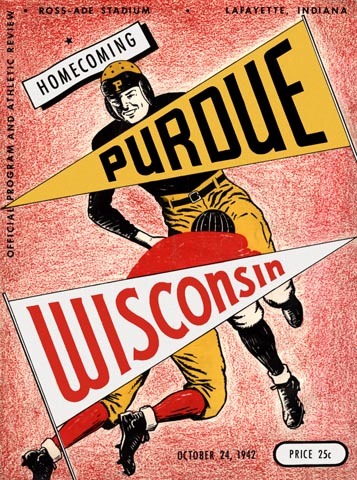 The Boilermakers had their roster filled with 4-Fs and their minds on the war, and football was more of an afterthought than a life or death struggle. Averaging but three points a game for the entire season, our heroes couldn't even come up with that against a powerful 8 and 1 Wisconsin eleven.